So for our Imagine at Do. Good Stitches group it's my turn again to choose a quilt block and color palette. I chose this block - which in one of my quilting books is referred to as a "ribbon star" quilt block. Another book calls it the "ribbon quilt" quilt block and yet another says that it is a combination of the "friendship star" and the "snowball" block. So there you have it. 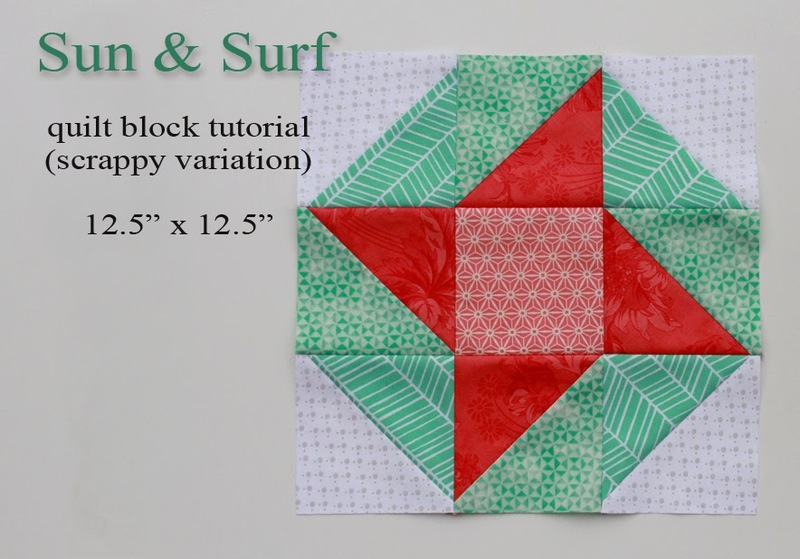 Since this one is a scrappy version I'm calling it the "Sun and Surf" block. Recently I spent a bit time in the Bahamas and was inspired by the gorgeous colors found in not just the buildings but also in (yep you guessed it) the colors of the ocean and the gorgeous sunsets. 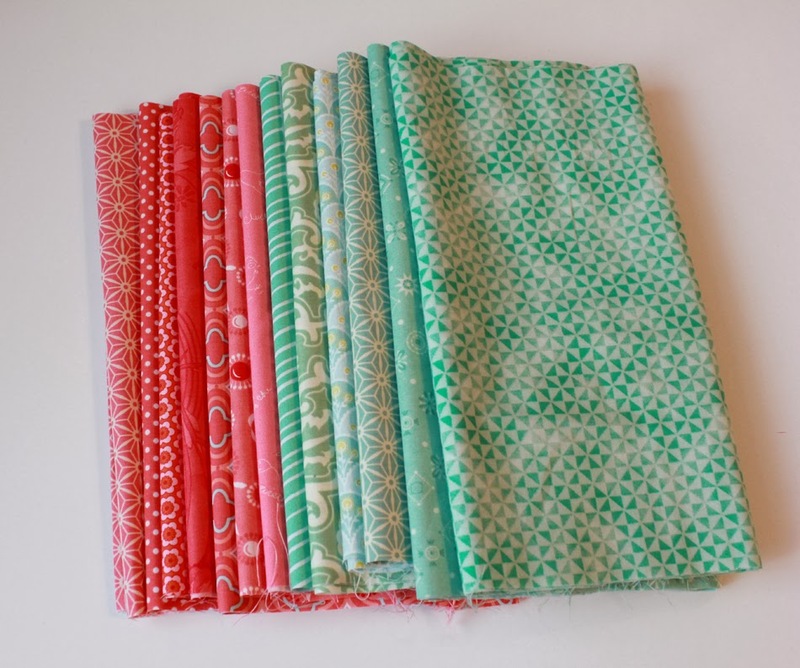 So we'll be working with all shades of coral and mint for this block. 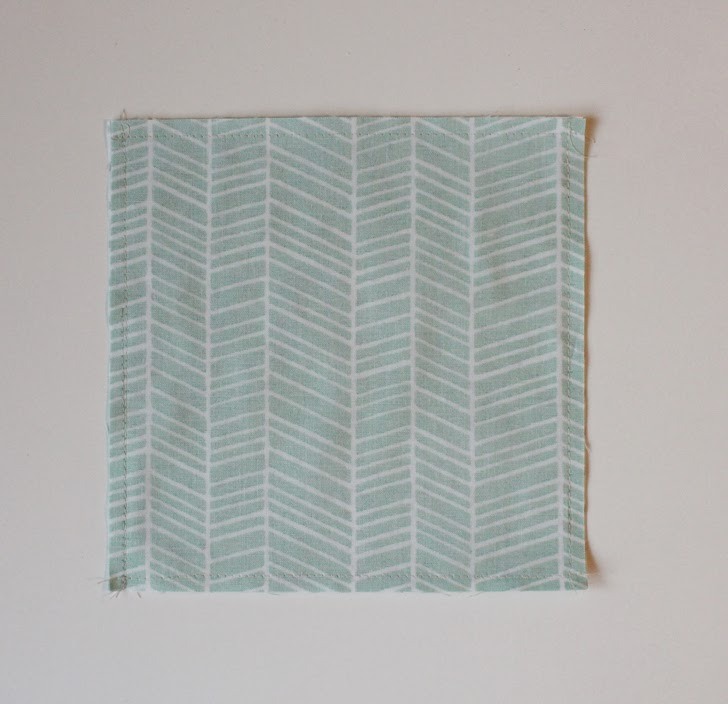 Step 1: Place the 7.25" low volume square right sides together with one 7.25" mint square. Match edges. 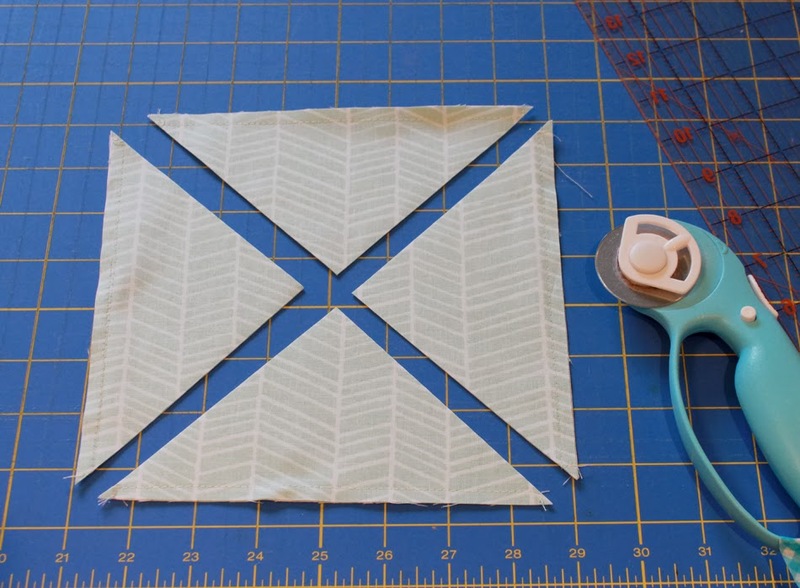 Sew around all four sides of the square using a 1/4" seam. Step 2: Press so it lays nice and flat. Then cut diagonally across squares twice. This creates four half square triangles. 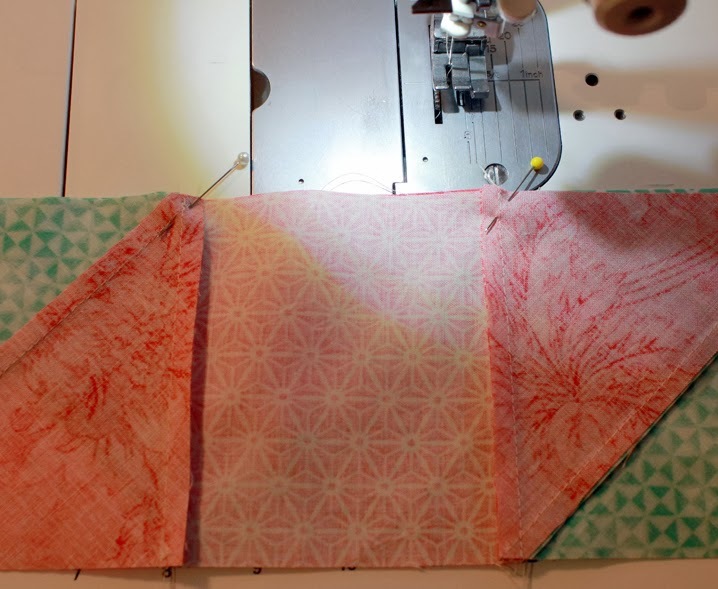 Step 3: Repeat steps 1-2 using one 7.25" mint square and one 7.25" coral square. Step 4: You should now have a total of eight half square triangles. 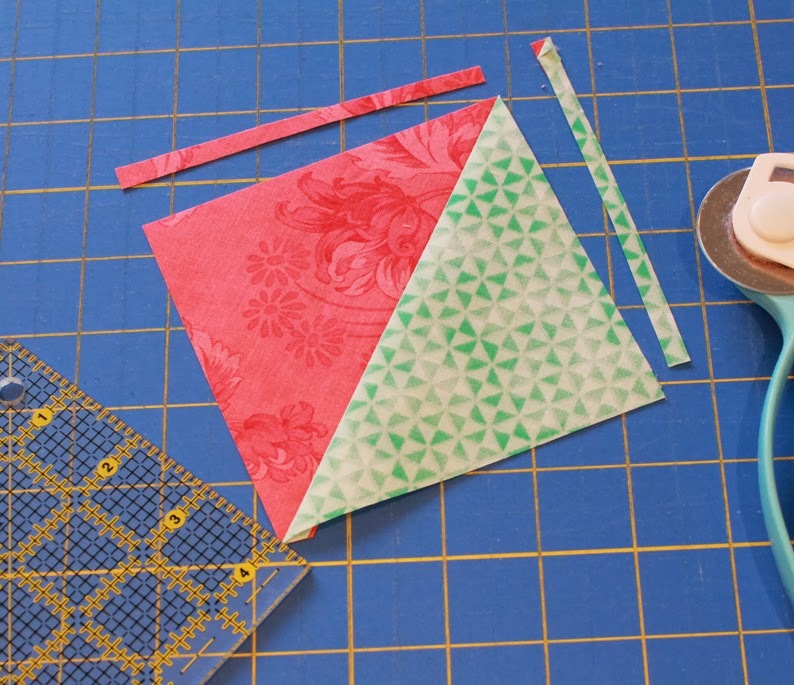 Press all HSTs open and trim to be 4.5". 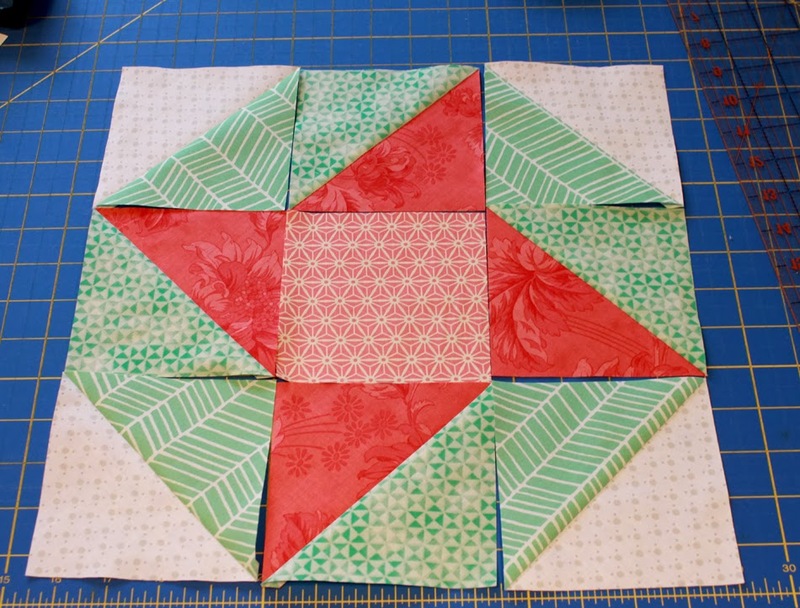 Step 5: Using all HSTs and the 4.5" square coral print, lay out block as shown below. Step 6: Sew block rows together using a scant 1/4" seam. Press seams. Sew rows together, pinning at each intersection (again using a scant 1/4" seam). There you go! One finished 12.5" x 12.5" Sun & Surf scrappy quilt block. If you make a Sun & Surf block I'd love to see it! And if you're on flickr be sure to add it to the Sewing with A Bright Corner flickr group. 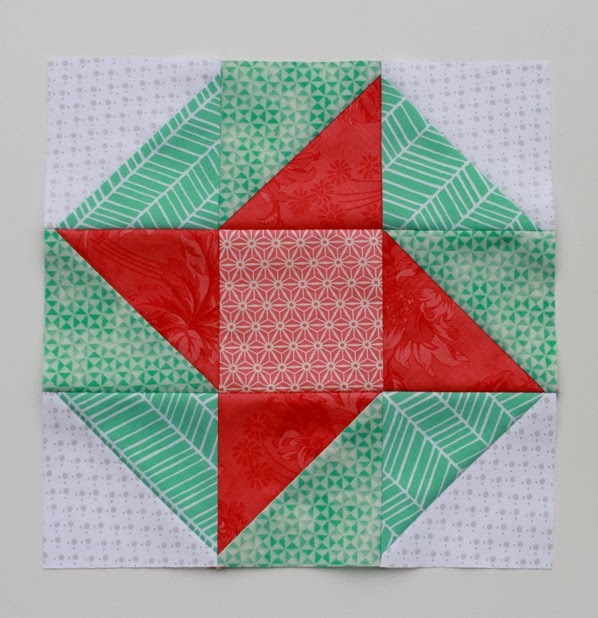 Lots of fun quilt blocks that I see with HST's. So easy to do with Triangles On A Roll. Love the colors and design of your New England quilt too. This might be my excuse to order a few more coral prints...ha ha! Very cool way of making this block! Thanks for the tutorial! Love this block. Love the colors! Where did you purchase the fabric, I would love to make this. 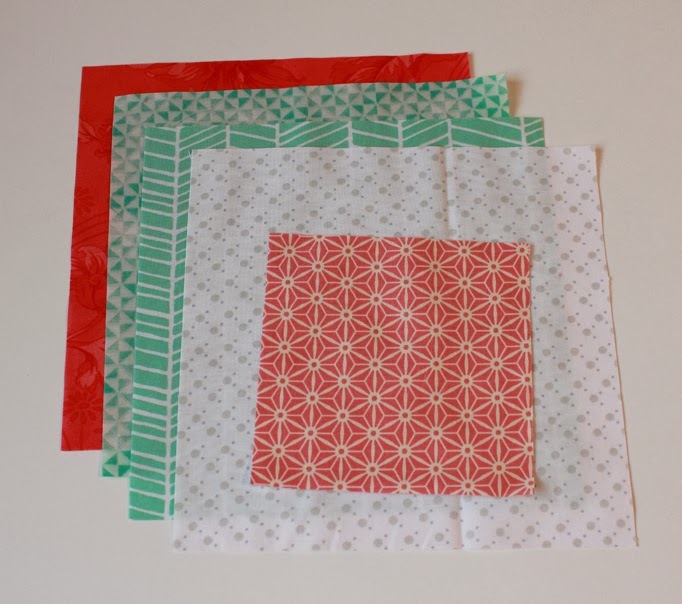 I just used scraps from my stash and I don't even remember the manufacturer or designer of each of the prints! Sorry!